From the first song – the entrancing, seductive, and deliberately-paced “Any War” – the new LP comes across as a more focused, even sophisticated, affair than their two previous efforts, the 2013 “Altars” EP and the 2012 demo. 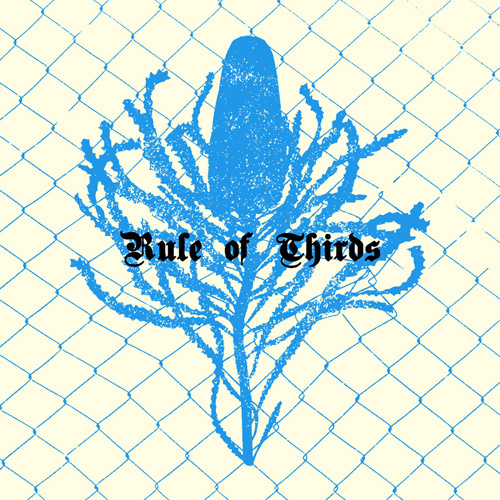 The earlier Rule of Thirds material had a grittier sound – it harkened back to the early 80s L.A. deathrock of the Superheroines, 45 Grave and Voodoo Church. This new 9 song LP, however, feels more British – more in line with the nuanced early gothic rock of Skeletal Family and Juju-era Siouxsie and the Banshees. This is a band, after all, that told Zero Tolerance zine in 2013, “We’re much more Joy Division, Skeletal Family, or Christian Death than, say, Killing Joke, Amebix, or The Mob” (I ask the band about this quote in the interview below). In all, this self-titled LP is as good as contemporary dark postpunk gets; it’s an essential document of modern dark music.